Unfortunately, this is not possible from within the app. Please contact the Clickbank or JVZoo support teams to make this change. If you wish to switch to our primary payment provider so you can do this easily, please contact support through the chat or by email for assistance. 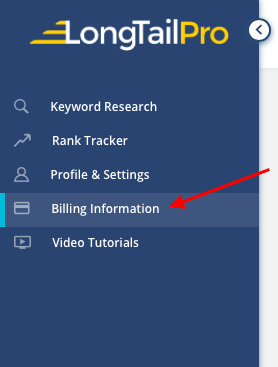 You can make this change from the Billing Information page within the app. 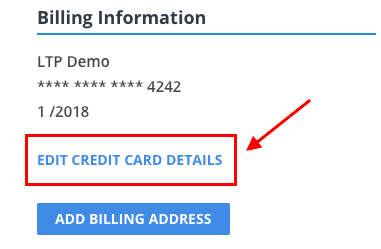 Your credit card information is encrypted and sent securely via HTTPS to our payment processor, Stripe. Because we value your security, we use a company that makes security their business, and your credit card number is NEVER stored on our servers.